Keep contributing to these “scam groups”…. The charity, well-known for attention grabbing publicity campaigns such as the ‘I’d rather go naked’ anti-fur campaign, euthanized 1,647 cats and dogs last year and only placed 19 in new homes according to the data submitted to the Virginia Department for Agriculture and Consumer Services. According to the statistics 1,110 cats and 733 dogs were handed in to the charity in 2012. 22 cats and 108 dogs were transferred to another shelter, two cats and three dogs were reclaimed by their owner while 1,045 cats and 602 were euthanized. 34 cats and 7 dogs were placed under a category entitled ‘Miscellaneous’. The statistics have been promoted by a restaurant advocacy coalition called Center for Consumer Freedom, which has had numerous run-ins with the charity in the past. They say that since 1998 the shelter has euthanized a total of 29,398 pets. A PETA spokeswoman told MailOnline that they had no choice but to euthanize the animals. In a 2009 blog the charity wrote about their opposition to ‘no-kill’ animal shelters saying they often get filled and just have to turn animals away. It said in some cases euthanasia is a necessary evil and PETA is willing to do ‘society’s dirty work’. ‘As long as animals are still purposely bred and people aren’t spaying and neutering their companions, open-admission animal shelters and organizations like PETA must do society’s dirty work. Euthanasia is not a solution to overpopulation but rather a tragic necessity given the present crisis,’ it said. In response to the post, supporters of the charity were torn on the issue but many said a charity in its position on issues such as medical testing, the fur trade and as advocates for veganism should never allow the killing of healthy animals over a lack of suitable home. WASHINGTON — President Barack Obama came into office four years ago skeptical of pushing the power of the White House to the limit, especially if it appeared to be circumventing Congress. He’s done it with a package of tools, some of which date to George Washington and some invented in the modern era of an increasingly powerful presidency. And he’s done it with a frequency that belies his original campaign criticisms of predecessor George W. Bush, invites criticisms that he’s bypassing the checks and balances of Congress and the courts, and whets the appetite of liberal activists who want him to do even more to advance their goals. Now that Obama has showed a willingness to use those tactics, advocacy groups, supporters and even members of Congress are lobbying him to do so more and more. The Center for Progressive Reform, a liberal advocacy group composed of law professors, including Steinzor, has pressed Obama to sign seven executive orders on health, safety and the environment during his second term. Seventy environmental groups wrote a letter urging the president to restrict emissions at existing power plants. Sen. Barbara Mikulski, D-Md., the chairwoman of the Appropriations Committee, sent a letter to the White House asking Obama to ban federal contractors from retaliating against employees who share salary information. Gay rights organizations recently demonstrated in front of the White House to encourage the president to sign an executive order to bar discrimination based on sexual orientation or gender identity by companies that have federal contracts, eager for Obama to act after nearly two decades of failed attempts to get Congress to pass a similar bill. The White House didn’t respond to repeated requests for comment. In January, Obama said he continued to believe that legislation was “sturdier and more stable” than executive actions, but that sometimes they were necessary, such as his January directive for the federal government to research gun violence. “There are certain issues where a judicious use of executive power can move the argument forward or solve problems that are of immediate-enough import that we can’t afford not to do it,” the former constitutional professor told The New Republic magazine. Presidents since George Washington have signed executive orders, an oft-overlooked power not explicitly defined in the Constitution. More than half of all executive orders in the nation’s history – nearly 14,000 – have been issued since 1933. Many serve symbolic purposes, from lowering flags to creating a new military medal. Some are used to form commissions or give federal employees a day off. Still others are more serious, and contentious: Abraham Lincoln releasing political prisoners, Franklin D. Roosevelt creating internment camps for Japanese-Americans, Dwight Eisenhower desegregating schools. Most presidents in recent history generally have issued a few hundred orders, and hundreds more memorandums and directives. Jimmy Carter initiated a program designed to end discrimination at colleges. Ronald Reagan overturned price controls on domestic oil production. George H.W. Bush stopped imports of some semi-automatic firearms. Bill Clinton set aside large tracts of land as national monuments. George W. Bush made it easier for religious groups to receive federal dollars. But, experts say, Obama’s actions are more noticeable because as a candidate he was critical of Bush’s use of power. In particular, he singled out his predecessor’s use of signing statements, documents issued when a president signs a bill that clarifies his understanding of the law. Yet Obama’s use of power echoes that of his predecessors. For example, he signed 145 executive orders in his first term, putting him on track to issue as many as the 291 that Bush did in two terms. John Yoo, who wrote the legal opinions that supported an expansion of presidential power after the 2001 terrorist attacks, including harsh interrogation methods that some called torture, said he thought that executive orders were sometimes appropriate – when conducting internal management and implementing power given to the president by Congress or the Constitution – but he thinks that Obama has gone too far. Most of Obama’s actions are written statements aimed at federal agencies that are published everywhere from the White House website to the Federal Register. Some are classified and hidden from public view. In his first two years in the White House, when fellow Democrats controlled Capitol Hill, Obama largely worked through the regular legislative process to try to achieve his domestic agenda. His biggest achievements – including a federal health care overhaul and a stimulus package designed to boost the economy –came about with little or no Republican support. But Republicans took control of the House of Representatives in 2010, making the task of passing legislation all the more difficult for a man with a detached personality who doesn’t relish schmoozing with lawmakers. By the next year, Obama wasn’t shy about his reasons for flexing his presidential power. In fall 2011, he launched the “We Can’t Wait” campaign, unveiling dozens of policies through executive orders – creating jobs for veterans, adopting fuel efficiency standards and stopping drug shortages – that came straight from his jobs bills that faltered in Congress. When Congress killed legislation aimed at curbing the emissions that cause global warming, Obama directed the Environmental Protection Agency to write regulations on its own incorporating some parts of the bill. When Congress defeated pro-union legislation, he had the National Labor Relations Board and the Labor Department issue rules incorporating some parts of the bill. “The president looks more and more like a king that the Constitution was designed to replace,” Sen. Charles Grassley, R-Iowa, said on the Senate floor last year. While Republicans complain that Obama’s actions cross a line, experts say some of them are less aggressive than they appear. After the mass shooting in Newtown, Conn., in December, the White House boasted of implementing 23 executive actions to curb gun control. In reality, Obama issued a trio of modest directives that instructed federal agencies to trace guns and send information for background checks to a database. In his State of the Union address last month, Obama instructed businesses to improve the security of computers to help prevent hacking. 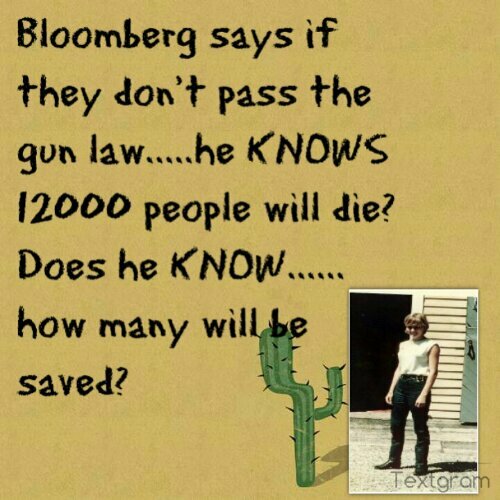 But he doesn’t have the legal authority to force private companies to act. “The executive order can be a useful tool but there are only certain things he can do,” said Melanie Teplinsky, an American University law professor who’s spoken extensively on cyber-law. Executive actions often are fleeting. They generally don’t settle a political debate, and the next president, Congress or a court may overturn them. Consider the so-called Mexico City policy. With it, Reagan banned federal money from going to international family-planning groups that provide abortions. Clinton rescinded the policy. George W. Bush reinstated it, and Obama reversed course again. But congressional and legal action are rare. In 1952, the Supreme Court threw out Harry Truman’s order authorizing the seizure of steel mills during a series of strikes. In 1996, the District of Columbia Court of Appeals dismissed an order by Clinton that banned the government from contracting with companies that hire workers despite an ongoing strike. Obama has seen some pushback. Congress prohibited him from spending money to move inmates from the Guantanamo Bay U.S. naval base in Cuba after he signed an order that said it would close. A Chinese company sued Obama for killing its wind farm projects by executive order after he said they were too close to a military training site. A federal appeals court recently ruled that he’d exceeded his constitutional powers when he named several people to the National Labor Relations Board while the Senate was in recess. But Obama appears to be undaunted. This is what true Israel trip was about…. “I AM MAKING HISTORY ” Three more years of this?…. kids in school until year 18, send them to college, which keeps unemployment rates down. In Tunisia, where the Arab Spring began after a vendor set himself on fire to protest the government two years ago, the populace is growing disenchanted with the transition to democracy and an economy left in ruins by the regime change. Social disruption, dramatic declines in mining and tourism and the Feb. 6 assassination of popular leftist leader Chokri Belaid, who was gunned down outside his home in the capital apparently by hard-line Islamists, known as Salafists, have all contributed to a darkened atmosphere inside the birthplace of the Arab Spring. There’s a sullen resentment at the failure of the Islamist government — it is ruling with two secular center-left parties – to move the economy on. This week, the former governor of the Central Bank of Tunisia put the price tag of kicking out autocrat Zine El Abidine Ben Ali at 14 percent of Tunisia’s gross domestic product. “This cost is extremely high compared to what was expected,” Mustapha Kamel Nabli told a conference in Tunis. 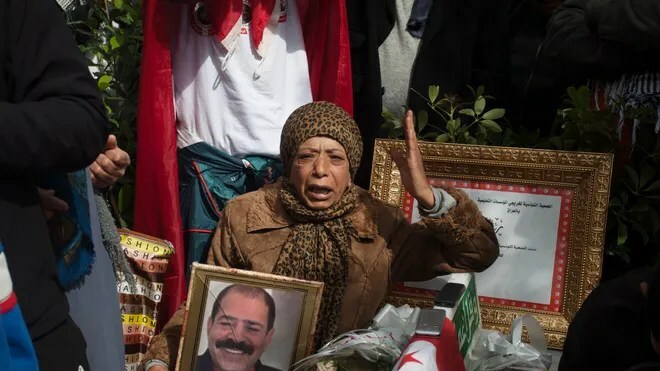 Belaid’s murder triggered violent protests, forcing the ruling Islamist party, Ennahda, to re-tool the coalition cabinet and replace the prime minister. On the street, the economic desperation and high unemployment — key causes for the uprising that toppled Ben Ali, the first of the Arab Spring dictators to go – has not changed. In fact, earlier this month there was a disturbing echo of how the uprising against Ben Ali began two years ago – with the self-immolation of a street-hawker protesting police harassment and social inequality. Khazri’s death resembled eerily the self-immolation of Mohamed Bouazizi, who set himself on fire in December 2010 in protest at the confiscation by police of his goods. His act was a catalyst for the Jasmine Revolution. The country’s new Prime Minister, Ali Larayedh, was sworn in on the day of Adel Khazri’s funeral and has promised to create conditions for a revival of the economy. He has a huge challenge on his hands. Unemployment is now running at 17 percent, but in the country’s interior and among young graduates it is more than 30 percent and frustration is building. Khazri came to Tunis from Jendouba, a struggling region in the northwest where many resort to selling oil smuggled from neighboring Algeria. “I have a degree and speak three languages, but the only job I can get is as a hotel maid,” complains 23-year-old Mariam, who works at a downtown hotel in the capital. Sound familiar? How long people before you wake up here, too? The political turmoil in the country following Belaid’s killing has added to a high-risk image of the country when it comes to foreign investors. The country’s sovereign risk rating was downgraded by Standard and Poor’s rating agency on February 19 to junk-grade status, limiting Tunisia’s ability to access capital markets and deterring inward foreign investment. The country is asking the International Monetary Fund for a loan of almost $2 billion. Violent protests on the streets and international media attention on Salafists also has had a serious impact on the tourism industry. Tourism accounts for a sixth of all jobs in the country, but hotels in the beach resort areas are currently only 10 percent full at a time they normally enjoy 40 percent occupancy. There has been “an unprecedented level of booking cancellations,” economist Radhi Meddeb told news outlet Tunisia Live. Prime Minister Larayedh has pledged to end political turmoil by adopting quickly a new constitution and cracking down on Salafist violence. But debate over a new governing charter for Tunisia risks enflaming disputes between secularists and hard-line Islamists and it isn’t clear that Larayedh has the stomach for a confrontation with Salafists. Secularist politicians and activists argue that as interior minister, before he took the top job, he failed to suppress Salafi gangs – they describe themselves as Leagues for the Protection of the Revolution — who have been highly active intimidating opponents. Some secular politicians claim that Ennahda is in league with the Salafists, and leftists insist that the Islamist ruling party is ultimately responsible for fomenting violence. On Tuesday, German Foreign Minister Guido Westerwelle warned while on a visit to Tunisia that the new government had to work harder to stabilize the country politically. “People in Tunisia want jobs and that requires investment. Investment from Germany and Europe depends largely on work toward democratic stability and reconciliation, and on a timely implementation of the constitutional process and elections,” he said. “Violence, extremists and fanatics must not form the image of Tunisia, but rather respect, democracy, the rule of law and tolerance — and we want to help,” Westerwelle told reporters. But much street protest has little to do with the political division between secularists and Islamists. Strikes and labor disputes over pay and conditions have had a major impact on the mining industry. Last year, the output from the country’s phosphate mines fell by 60 percent due to strikes. Tunisia was once the world’s fifth largest exporter of phosphate. Rising inflation has added to the anger of workers and the unemployed. Higher salaries in both the public and private sectors have caused a rise in the prices of goods and services. And the government appears to be without a sustainable strategy for job creation. The only answer so far has been to put more people on the public sector payroll, adding to the country’s budget deficit of 6.6 percent of GDP. In order to help repair the shaky public finances, the government earlier this month raised fuel prices for the second time in six months, adding to inflation. And it means to press ahead with cuts to expensive public subsidies that are straining the budget. But that move risks triggering more protests and strikes.